Hello! Thank you so much for being here! Today’s tutorial is an old favorite that somehow never got a video tutorial. 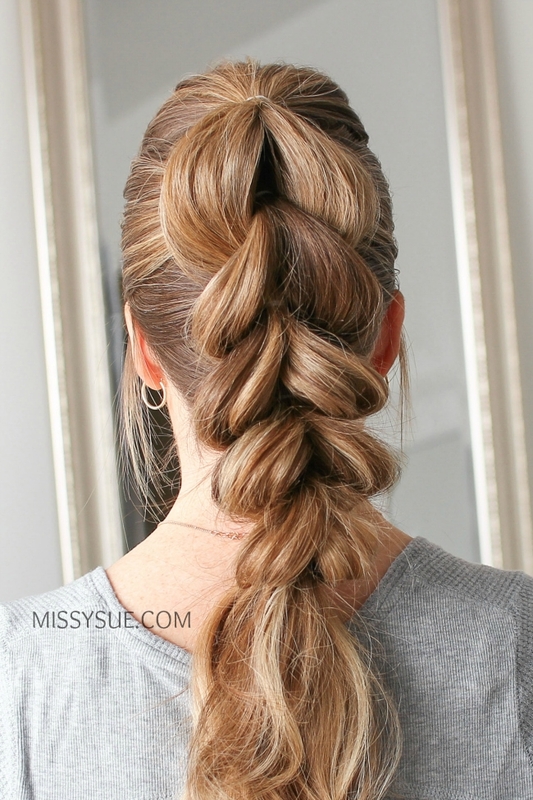 If you struggle with braids then this is definitely a style you need to try. It looks like a braid but, surprise! it’s not and is done with elastic bands instead. It looks super cool and I guarantee you’ll get a lot of compliments whenever you wear this hairstyle. Let me know what you think and be sure to give it a shot! Step 1 / Start by picking up a section of hair at the top of the head and tie it with an elastic band at the crown. Step 2 / Now clip this ponytail out of the way. Step 3 / Pick up a new section of hair underneath the first one, from above the ears, and tie it with a second elastic. Step 4 / Let down the first ponytail, divide it into two sections and bring the second ponytail up through the middle of the two sections, clipping it out of the way. Step 5 / Now pick up a new section of hair and combine it with the two sections from the first ponytail, tying it all together with an elastic. Step 6 / Then let down the top ponytail, divide it into two sections and bring the bottom ponytail through the middle, clipping it out of the way. Step 7 / Pick up a new section of hair and combine it with the two sections from the top ponytail, tying it all together with an elastic. 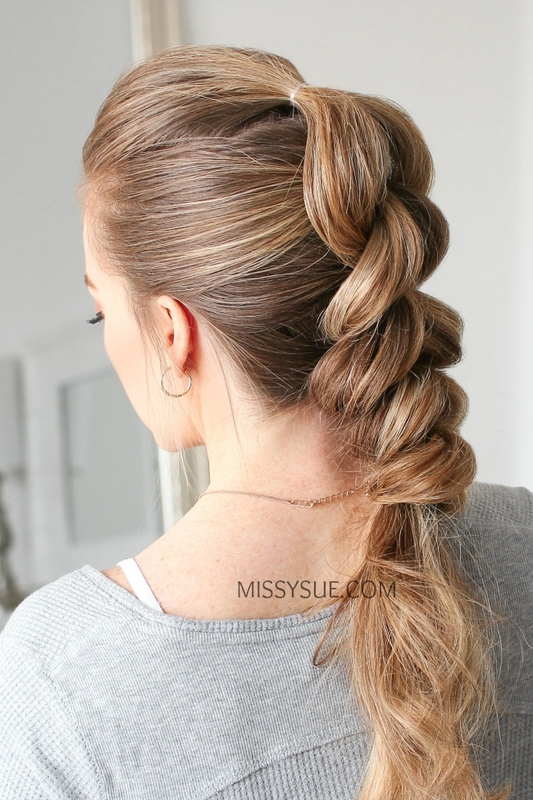 Step 8 / Once all of the hair is brought into the braid, continue dividing the top ponytail, wrapping it around the bottom ponytail and tying the hair together with an elastic, creating three more sections of the braid. Step 9 / Now go back over each section, pulling on the sections making the braid fuller. Step 10 / Smooth down any flyaways with a firm-hold hairspray.